Dr Fidanzato took the time to discuss all of my symptoms. He asked all the right questions and came up witha game plan for my issue. Great experience! Dr Fidanzato took the time to discuss all of my symptoms. He asked all the right questions and came up with a game plan for my issue. Great experience! Very friendly, very respectful and understanding. He listen to your concerns , ask questions and answer question. I’m gladI found him as a doctor! Very friendly, very respectful and understanding. He listen to your concerns , ask questions and answer question. I’m glad I found him as a doctor! 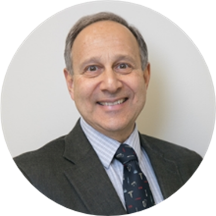 Dr. Michael Fidanzato is a gastroenterologist in Princeton, New Jersey and is affiliated with University Medical Center of Princeton at Plainsboro. He received his medical degree from New York Medical College and has been in practice for more than 20 years. Dr. Fidanzato accepts several types of health insurance, listed below. His philosophy is to provide outstanding patient care in a warm and friendly setting. This doctor was so thorough and professional and had such a pleasant manner. No long wait time or complicated ck in. My primary care is with princeton medical group which is so horrible to navigate or even talk to the doctorafter hours this was such a pleasure. I highly recommend this doctor! Doctor took his time to find out what was wrong with me and we started doing testing. Dr. Fidanzato is excellent. Great bedside manner. Answered all of my questions. Very thorough and patient. I highly recommend him. Excellent man and an excellent doctor. I recommend him to anyone including my family.